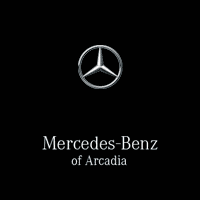 Our team at Mercedes-Benz of Arcadia knows the importance of regular maintenance and repairs on your Mercedes-Benz. While regular maintenance is crucial to keeping your car in excellent condition, we believe that it should be affordable as well. Our dealership offers a variety of Mercedes-Benz service specials, so Los Angeles and Pasadena drivers can save at our service center. Browse our current offers below, then schedule an appointment at our dealership! Our certified technicians can perform a variety of services, including *oil changes, tire rotations, and more! An hour or less 37-point inspection. Click here for more information. Valid only at Rusnak Mercedes-Benz of Arcadia for vehicles MY09 or newer. A-Service is recommended after 10,000 miles or one year, whichever comes first, and every 20,000 miles or two years from then on. Pricing may differ based on the model, please see Mercedes-Benz of Arcadia for details. May not be combined with any other offers or previous purchases. Please present coupon when service order is written. Adhere to all required elements listed by model year and specific model as indicated on the corresponding service sheet for Mercedes-Benz Maintenance Systems in the USA. Price advertised for Service A includes factory required components. Please refer to your maintenance booklet for the complete list of factory-required services and details on the specific intervals for your vehicle's year and model. Offer expires 04/30/19. Valid only at Rusnak Mercedes-Benz of Arcadia. May not be combined with any other offer or previous purchases. Other restrictions may apply. Must be presented at time of write-up. No cash value. Void where prohibited. Offer expires 04/30/19. Must be performed at Mercedes-Benz of Arcadia. No exceptions on discounts after expiration. Cannot be combined with any other offers or previous purchases. Must present coupon at time of write-up. Not valid for any insurance or warranty work. Void where prohibited by law. Other restrictions may apply. No cash value. Offer expires 04/30/19.